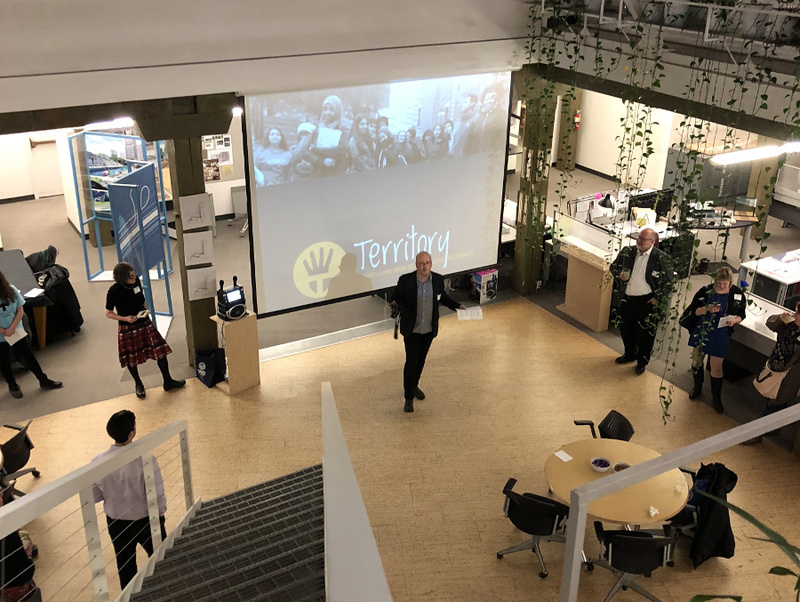 Thanks to Ross Barney Architects, principal Laura Saviano, architect Lindsey Telford, and the whole office for warmly welcoming over 115 people to BUILD Territory on February 22. Once you go down those stairs, you never want to leave. We hope everyone who came to BUILD Territory feels that way about Territory too! A round of Territory applause to Ross Barney Architects for welcoming us, and supporting our design studio program with the donation of your space. 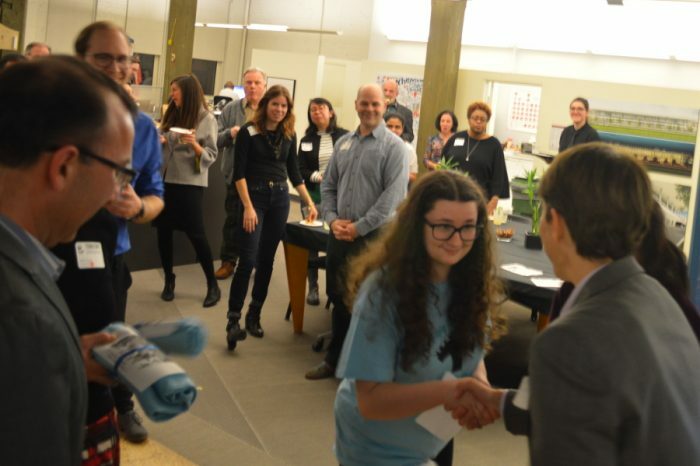 You made our first networking event spectacular.